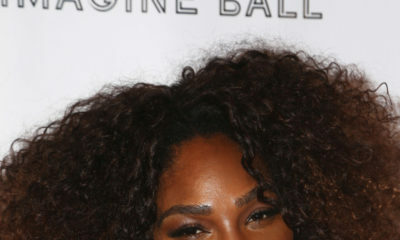 Serena Williams is serving Greatness on the cover of Allure Magazine’s Latest Issue ? Serena Williams is serving Greatness on the cover of Allure Magazine's Latest Issue ? In the magazine, she speaks candidly about the importance of standing up for oneself — no matter how hard it may be. 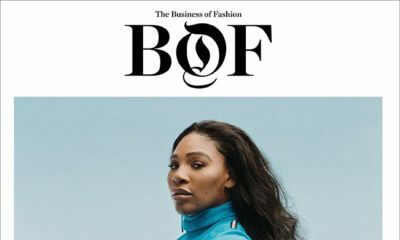 On role models for her and sister Venus: There weren’t a lot of role models for me to look up to [in the sport] and say, ‘Wow, I want to look like this!’… I kind of had to be that role and be that person. Venus and I started out being successful, continued to be successful, and we were also unapologetically ourselves. We were not afraid to wear braids. We weren’t afraid to be black in tennis. And that was different. On the importance of confidence: I think my mom instilled in us to be confident women, to really believe in ourselves, be proud of our heritage, our hair, and our bodies. That was something that was really important for her to teach us. I’m definitely teaching it to my daughter. On her post-baby body: I’m feeling pretty good about my body. I worked hard at it in the past eight months to get back from the baby. It hasn’t been easy. I’m not 21 anymore. But I did it slow and steady. After I came out [of the hospital], I had a stomach, but I thought, This is kind of cool. I have a stomach because the baby was there. On teaching her daughter about beauty: When I tell her she’s beautiful, I want to teach her that she’s beautiful from the inside. Giving is beauty. Being kind and humble is the ultimate beauty.” And what does she want her daughter to know about being strong? I want her to know that being strong is never easy. Not in this world we are living in…. Standing up for yourself is not going to be easy, but it’s always eventually respected. Those are the people who’ve made a difference in this world, people that stand up for what’s right. If you look at history, those are the people that you really remember. And at the time, oh, my God, it seemed impossible. Love the pictures, they exude confidence. Love her responses, she is such an inspiration.